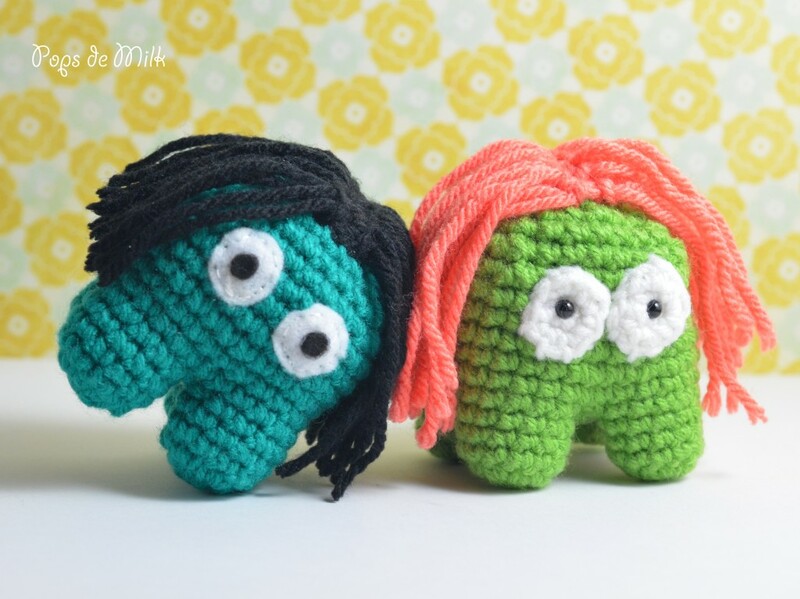 It’s been about a year since I started making amigurumi. 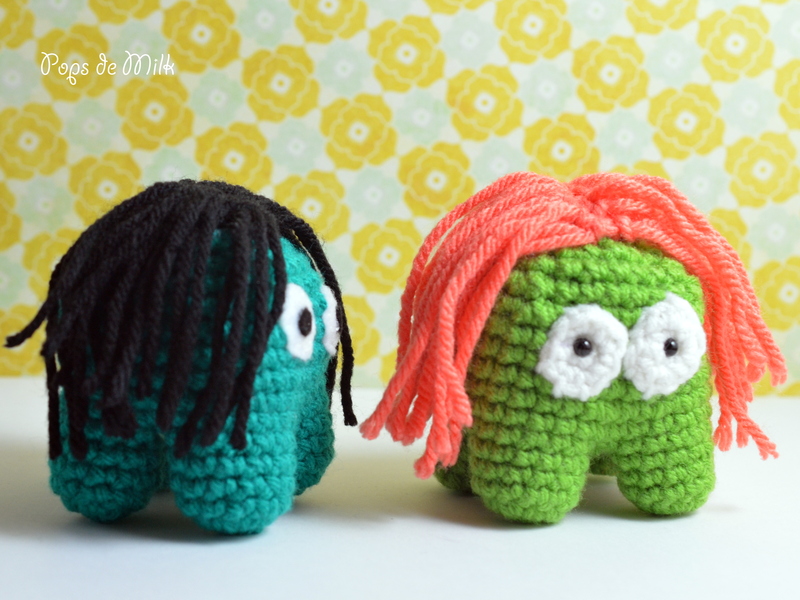 But specifically, amigurumi with joined legs. 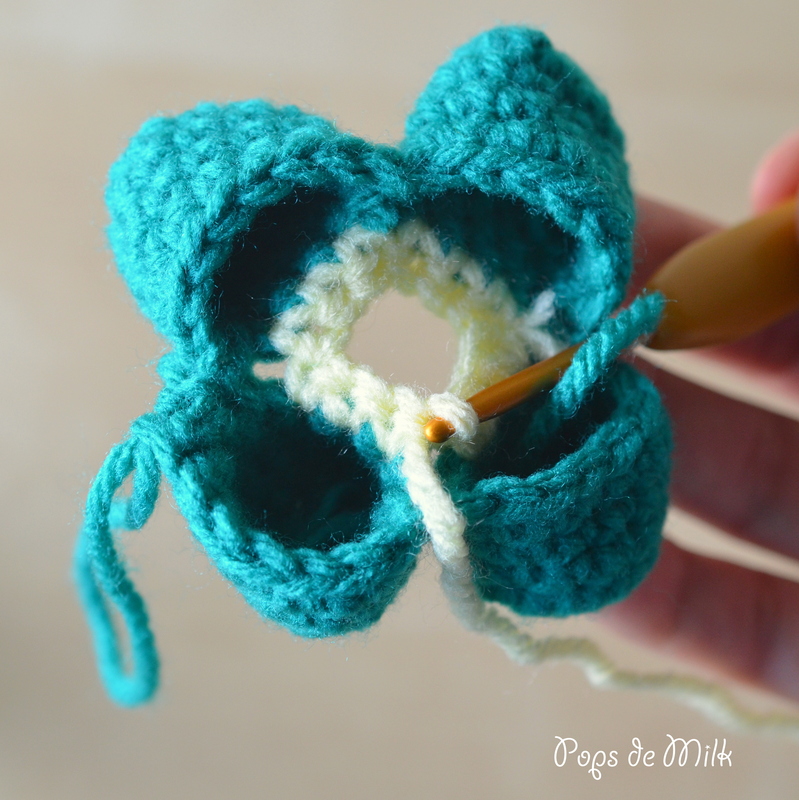 That sounds weird, I know, but what I mean is amigurumi where I create the legs separately and then join them to create the pants or the torso. So far I had only made creatures and people with two legs and I thought it was time to experiment with four legs! If you’re a beginner you might want to start with two legs until you get the hang of it – as I said, I didn’t even attempt to make four legs until now. 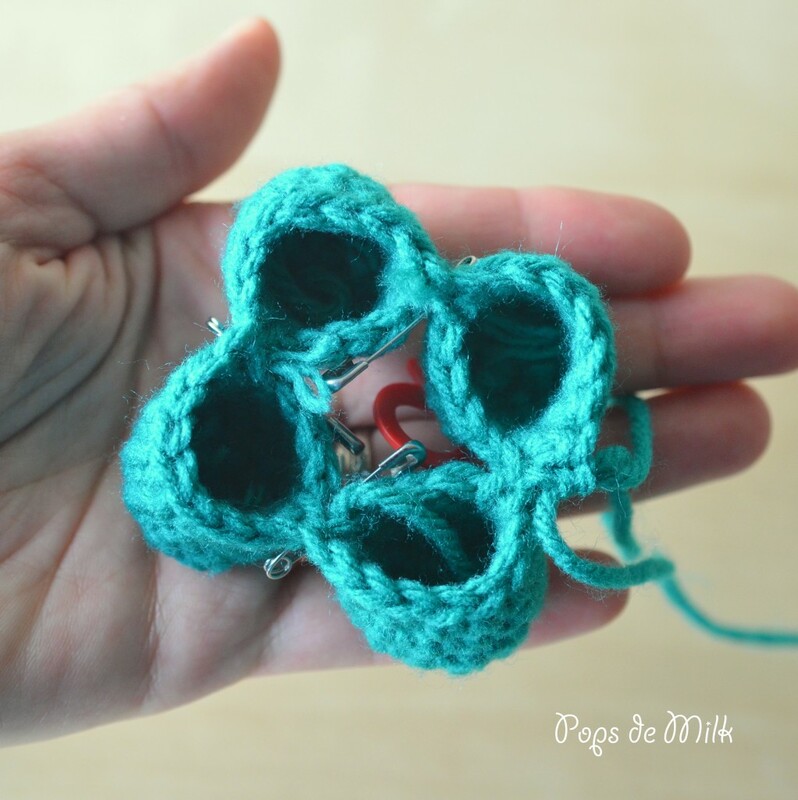 The pattern is worked in continuous rounds so it’s a good idea to use stitch markers to keep track of where your rounds begin/end. Do not join or turn at the end of each round. -Worsted weight yarn in colours of choice – I’m using Bernat acrylic yarn in Lush, Emerald, Tangerine, and White. -Size 3.50 and 3.25mm hooks. -Optional: scrap piece of felt in white and black. -Optional: sewing needle and thread. Round 1: in magic ring make 6 sc OR ch 2 and make 6 sc in 2nd ch from hook. First, place a stitch marker/scrap piece of yarn/safety pin in the 10th stitch of each leg – this will help to remind you how far to go and where to start when working on the belly. Pick up any one of the FO’d legs and, while keeping the hook in the current leg, make a sc in the next 9 sts of the FO’d leg. Repeat with the remaining legs, making sure to leave 3 sts unworked on each leg. Once all the legs are joined sc around and you should have 36 sts in total. 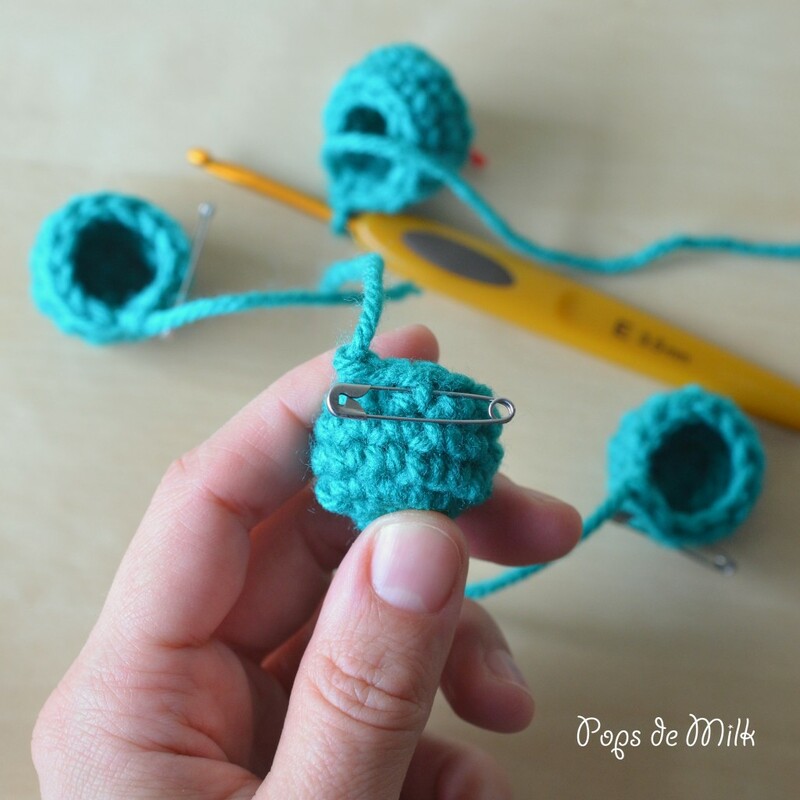 Remove the hook from the current stitch, making sure to pull some extra yarn so the piece doesn’t unravel. 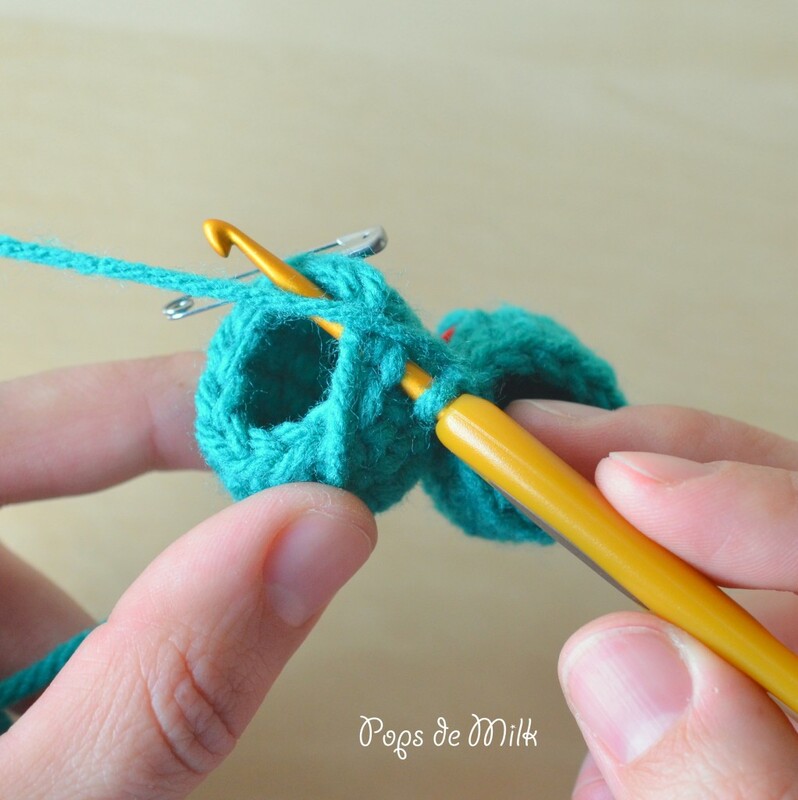 Now you will close the middle gap of unworked stitches. 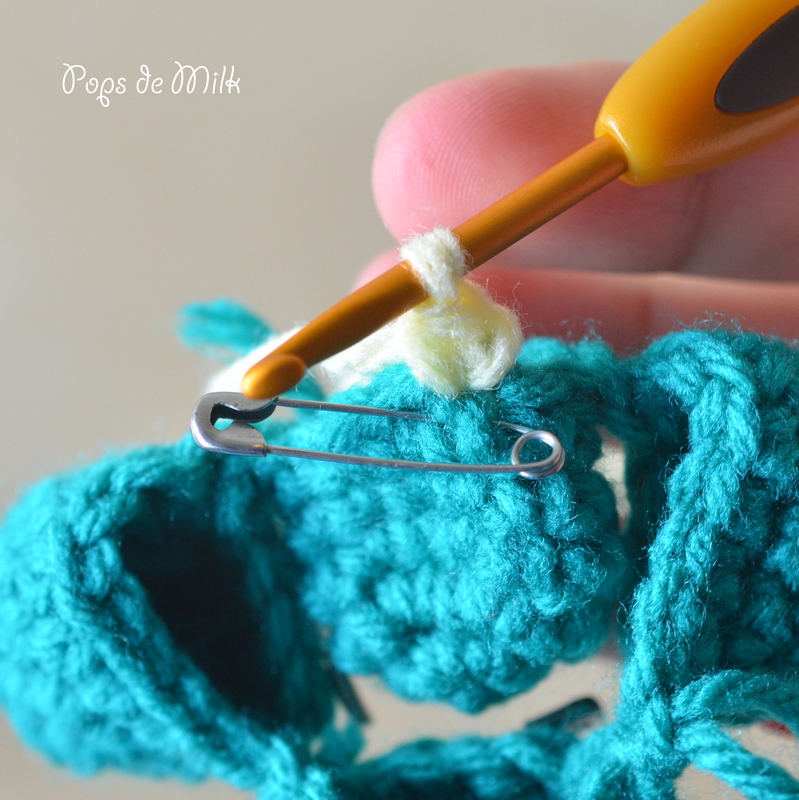 Pick up a loop in any of the stitches with a stitch marker on it. Round 3: dec around and FO leaving long tail for sewing. 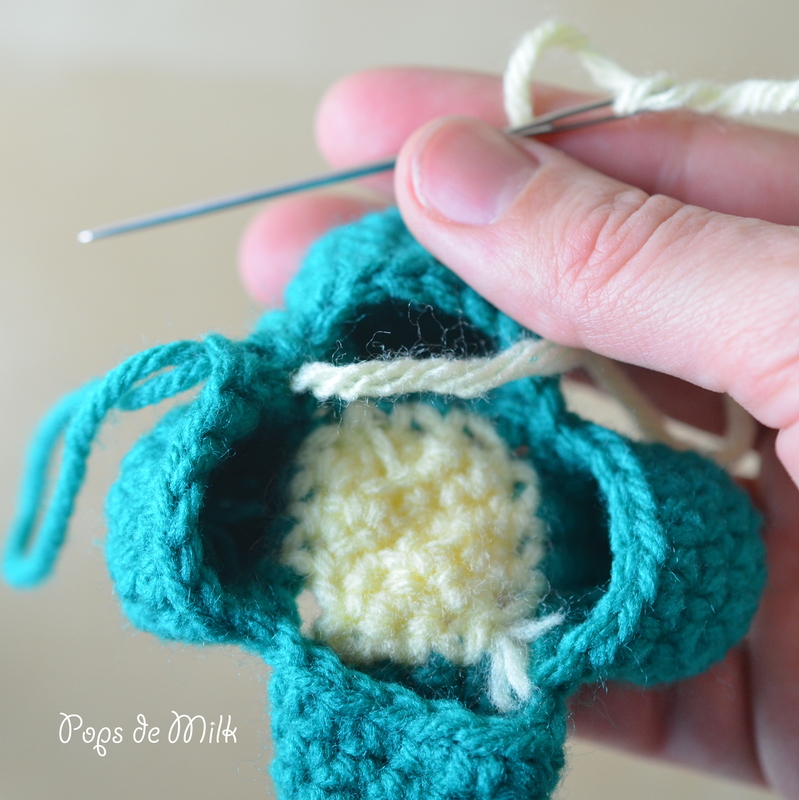 Sew any of the remaining gaps in the centre and in each of the leg corners. Weave ends and return to top of leg portion. Begin to stuff and continue to stuff until closed. FO and sew opening shut. Round 1: in magic ring make 4 sc OR ch 2 and make 4 sc in 2nd ch from hook. 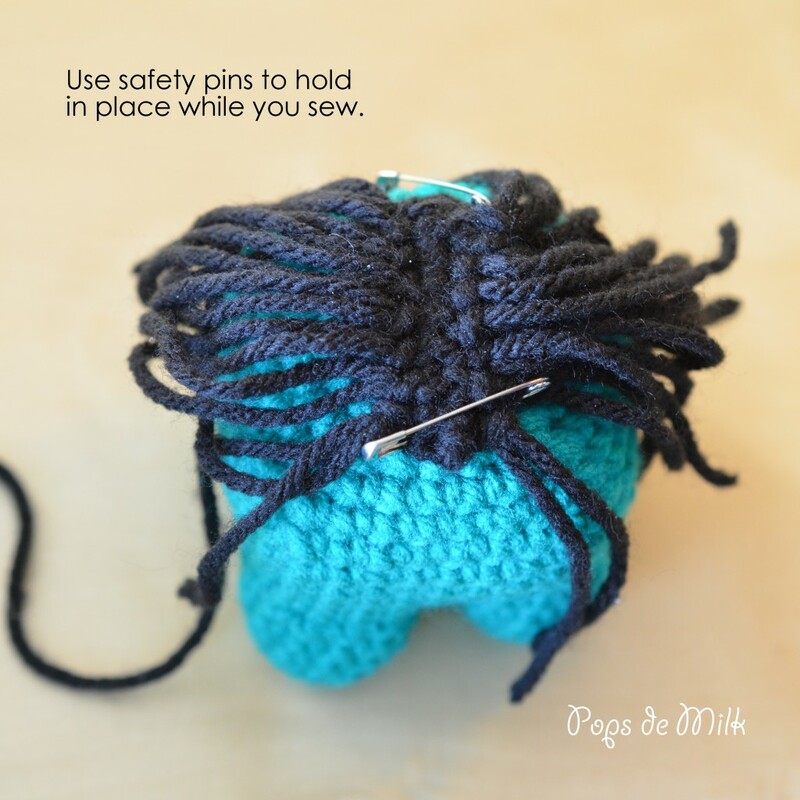 Attach safety eye, if using, and sew to monster. Alternatively you can make the eyes with felt by cutting out two circles in white and 2 tiny circles in black. I used a hot glue gun to attach the pupils to the white felt and then I sewed the eyes to the monster. Ch 9, sc in 2nd ch from hook and across making 4 sc in last ch. Continue around on bottom of ch to end. FO and leave long tail for sewing. 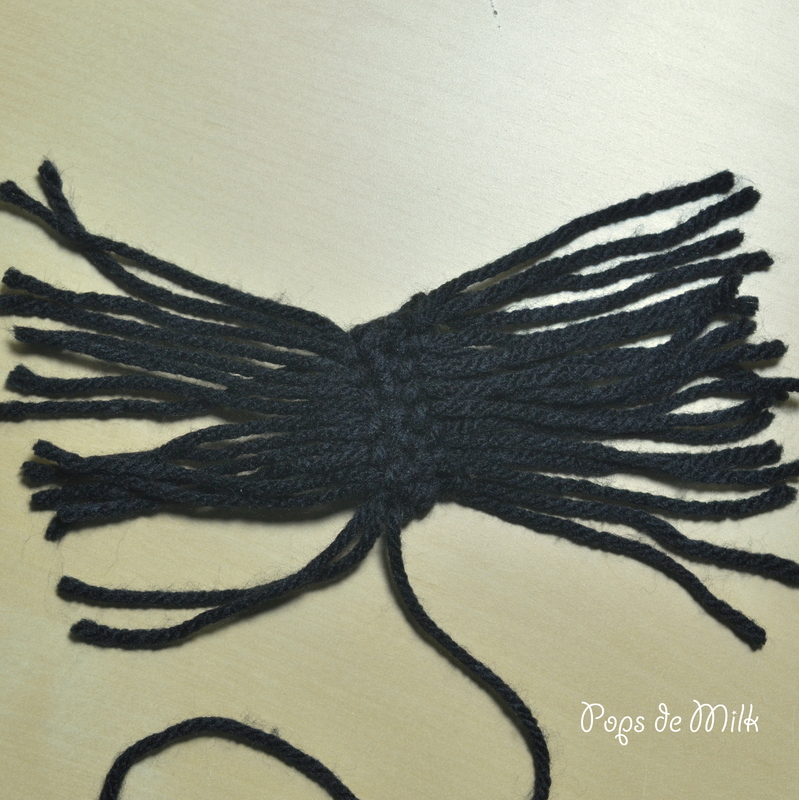 Cut several strands of yarn, about 6-7″ in length and attach to hair piece: fold strand of yarn in half and use a smaller crochet hook to pull the loop through the stitches in the hair piece, then pull the ends through the loop and tighten. Once you have desired amount of hair on the hair piece you can sew it on to the monster’s head. 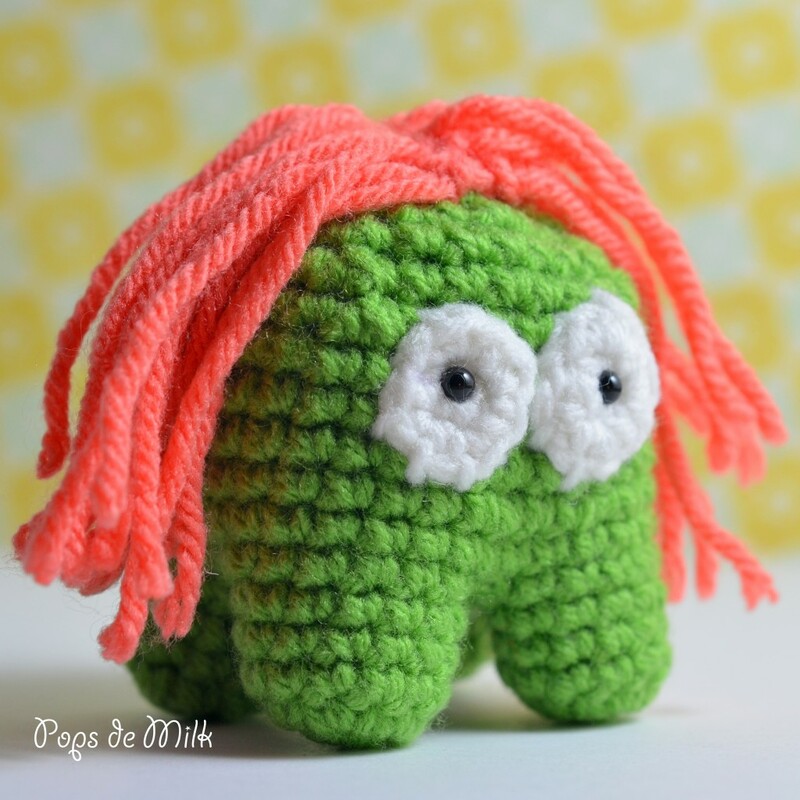 Add some flair to your monster and get creative with the colours. 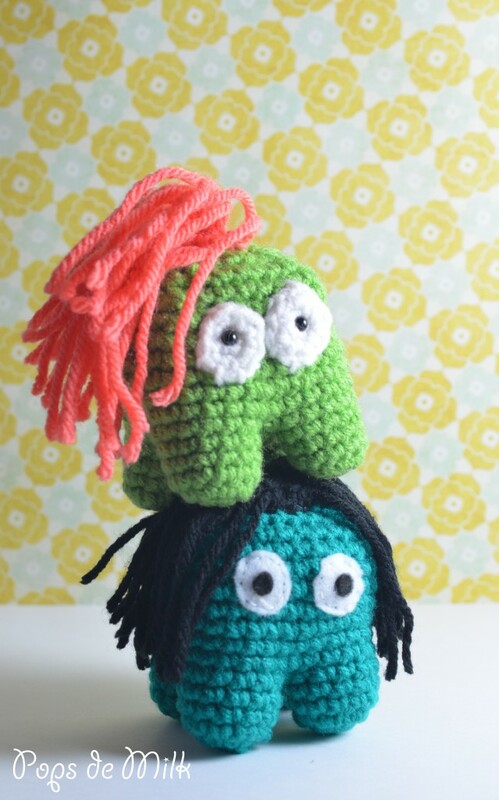 You can use googly eyes or buttons for the eyes, you can cut the hair and give the monster a buzz cut!